Are You A Pastor Skilled At Resolving Church Disputes Biblically? Life is full of disappointment. I wish I could say that it wasn’t true but as my mother used to say: that’s just the way the mop flops. In a world tainted by sin, life is not always going to go the way you want it, and conflict will arise more than you would like. In this passage, Jesus outlines exactly what you should when conflict arises. First you try to privately resolve your issue with the person involved. The reason you start in private is that conflict is like a disease that maliciously infects the body of the church. 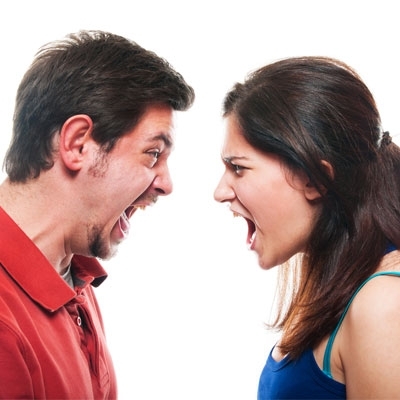 You keep your conflict resolution private to keep the disease of conflict from spreading. If you cannot solve your conflict it, then you should bring in the outside opinions of two or three other church members. At this point both parties in the conflict are too entrenched to budge, so what it needed is the outside opinion. Don’t bring in people who will just agree with you, but rather someone you both respect and trust; and do your best to abide by their decision. 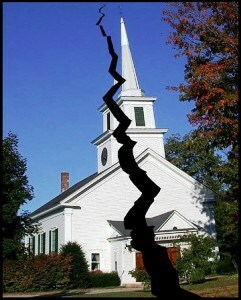 Should a third-party arbitration fail, then it is time to bring the conflict before the entire church. If both of you have to outline your arguments and cases on Sunday morning in front of everyone, then so be it. If there was any point in the conflict resolution process where you should have complete faith in God (besides all the time), this is the point. This is where you give up your conflict, and you set it before God. Be ready to accept whatever verdict your fellow church members make; because at the end of this process, the conflict is officially over regardless. If you cannot find satisfaction, then it is just best to associate with other members of the congregation. The keen observer will notice that Jesus says nothing about getting angry, forming factions, or threatening to leave the church. The reason Jesus never says those things is because we Christians are all members of the family of God. You can no more choose your family than you can your fellow Christians. It is your burden, your responsibility, your duty to bear the love of your family; even when some of the family behaves in an unloving fashion. Bottom Line: We are Family through Christ and Family sticks together; no matter what. Paul puts it correctly in 1st Corinthians 12 where he says “The eye cannot say to the hand, “I don’t need you!” And the head cannot say to the feet, “I don’t need you!” The hand cannot separate from the arm without either suffering. The foot cannot separate itself from the leg without either suffering. So too can congregations not separate from themselves without either of them suffering. We are fearfully and wonderfully made, placed together by God, forming the body of Christ, “giving greater honor to the parts that lacked it, so that there should be no division in the body.” We are the body of Christ: we may disagree, but we do not divide, we listen and we do not judge, we compromise because we love our family more than we love being right.